Happy March, dear friends! 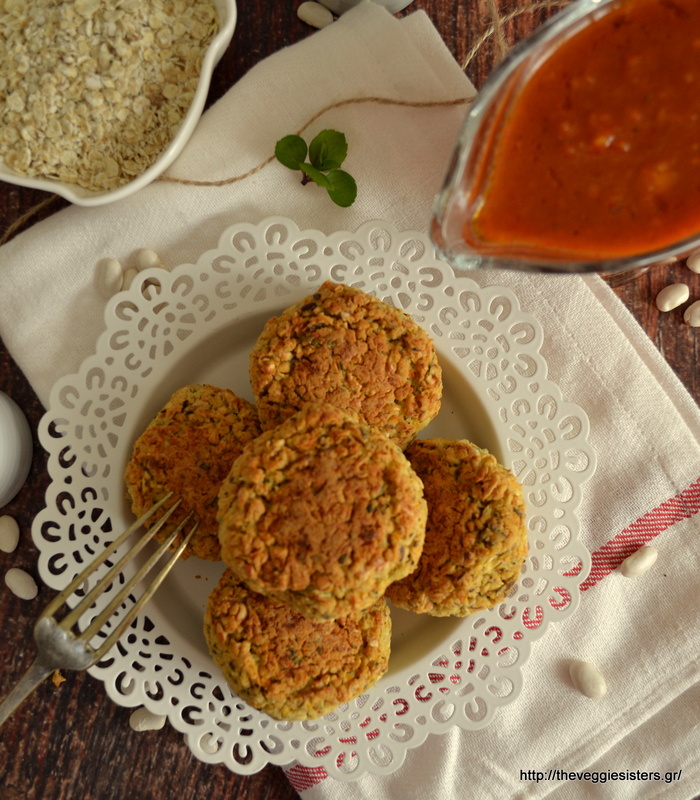 Today we are making a delicious traditional greek dish in its veganized version! «meatballs» with red tomato sauce! 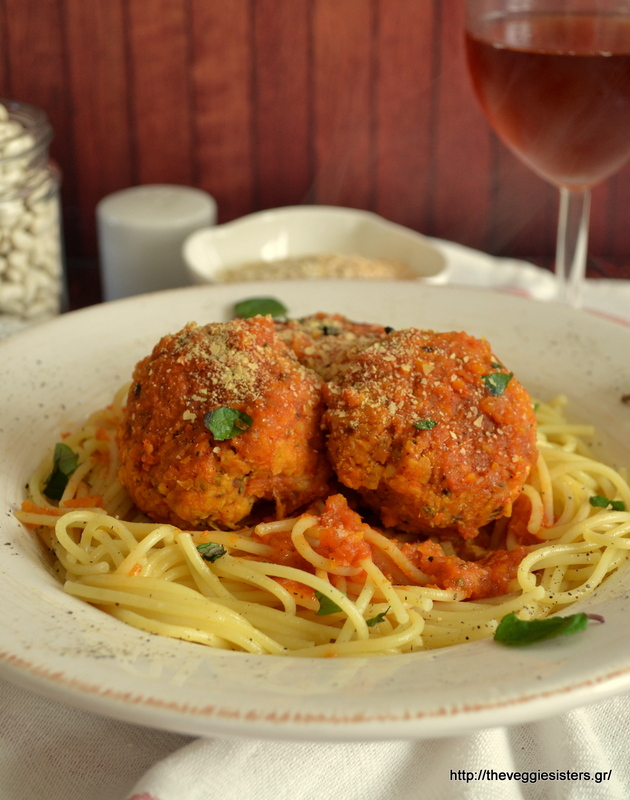 Of course the meatballs are meatless and made from white beans! They are delicious, fluffy and packed with protein! I am sure you will love them! Soak beans in water overnight. The next day cook them until tender and drain them. Pulse them in a food processor and place them in a large bowl. Add all vegetables.Mix well. Then add oats, olive oil and herbs. Stir until well combined. Season with salt and pepper. Put in the fridge for an hour. Then line a large baking tray with baking parchmentment and lay meatballs you have made with the cold dough. Bake in preheated oven at 200C for about 1 hour until golden brown on both sides. When ready, soak them carefully in the pot with the tomato sauce and then take them out and place them on a platter. While you are waiting for the dough to cool, prepare the sauce. Saute vegetables slightly, add wine.When it evaporates, add tomato juice and a little water. Let simmer for a while. Don’t let the sauce become thick. We need to soak our meatballs in there! Serve with rice, pasta or gnocchi. Enjoy! 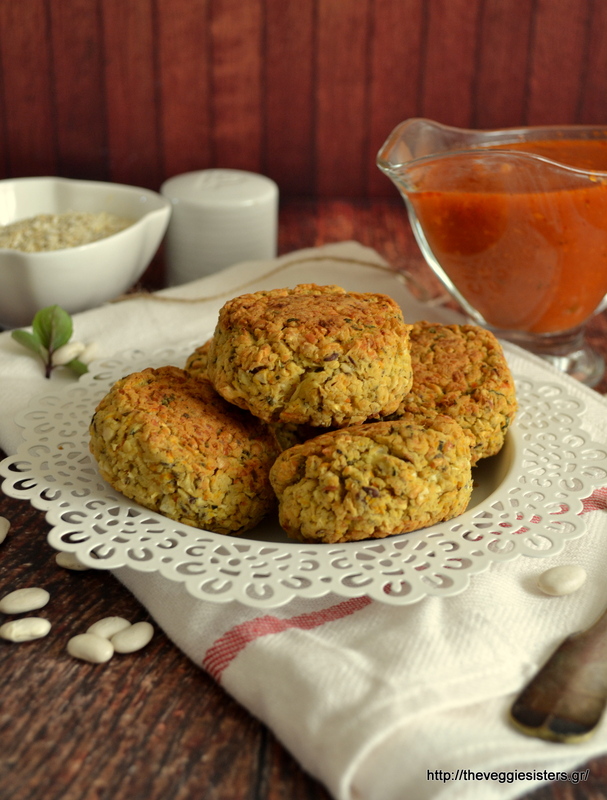 Share the post "Vegan bean balls with tomato sauce"